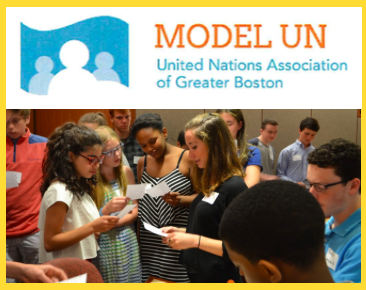 WMUN is an opportunity for middle school students (grades 6-8) to experience Model UN. This conference is open to any and all middle school students in New England. This conference will run from 9:30am to 4:00pm; registration will open at 9:00am. Delegate Fees: $65* per delegate. Maximum 30 students per team/school.